OK, nah. But for real, what's really going on here? 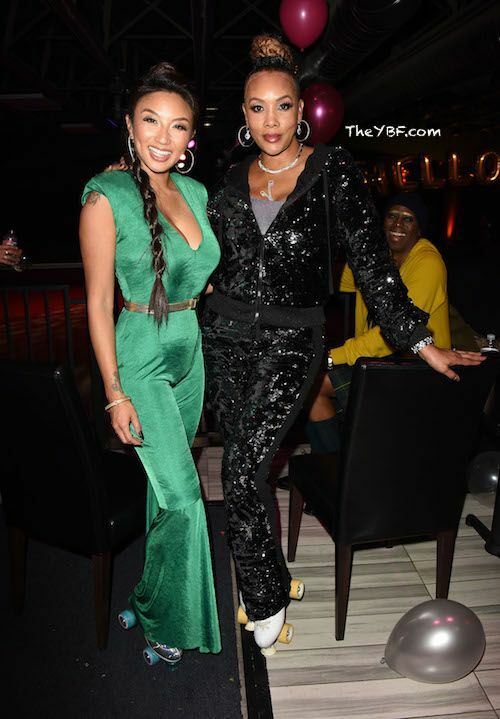 Jeannie Mai celebrated her 40th birthday with a gold and silver inspired roller skating party at World on Wheels. And "The Real" co-host - who looks damn good btw - was looking real cozy with rapper Jeezy. 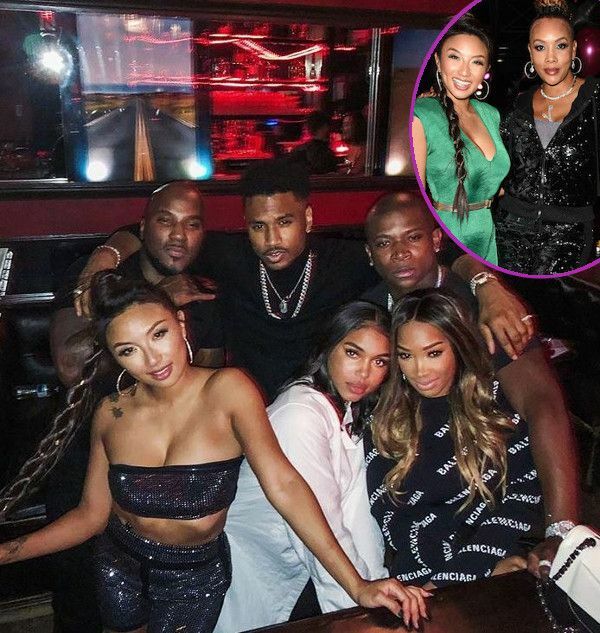 "ATL" actress Malika Haqq posted up a couples picture of herself with her man O.T. 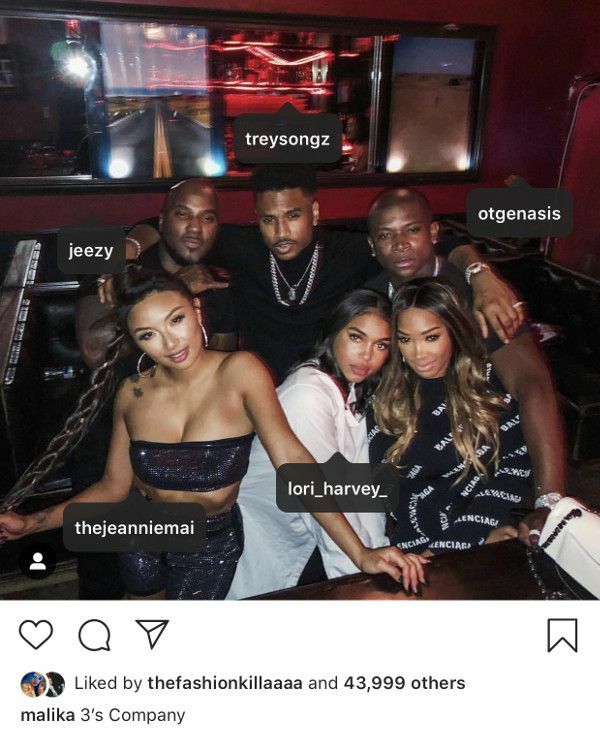 Genasis, singer Trey Songz and his new girlfriend Lori Harvey (Steve & Marjorie Harvey's daughter) along with Jeannie and Jeezy on Instagram. She captioned it, "3's Company." Oh? Last we heard, the "Snowman" rapper was engaged to his daughter's mother, Mahi. However, that was 2 years ago, so anything could have happened since then. IF Jeannie is dating Jeezy, she totally did a 180 in the beau department. Her ex-husband is a white actor named Freddy Harteis. They split in February 2018 after he changed his minda about wanting kids (he now wants them), and Jeannie did not (she still does not). 22-year-old Lori is flossing her new relationship with 34-year-old Trigga all over her IG. Jeannie's co-worker Adrienne Bailon and her hubby Israel Houghton came out to celebrate the milestone birthday. We noticed "The Real" co-hosts Loni Love and Tamera Mowry were not in attendance. Maybe prior committments and/or mommy duty. 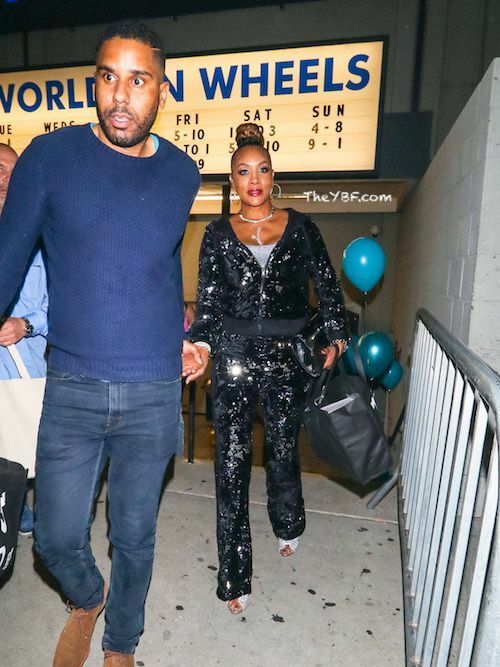 However, Vivica Fox was and she was ready to kill it on skates. After the party, Aunt Viv, her publicist B.J. 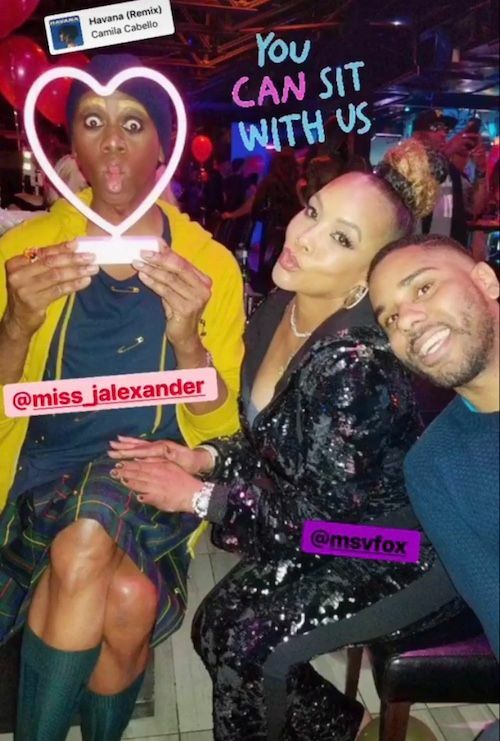 Coleman and "ANTM" alum J. Alexander/Miss Jay went out to eat at Craigs restaurant in West Hollywood. 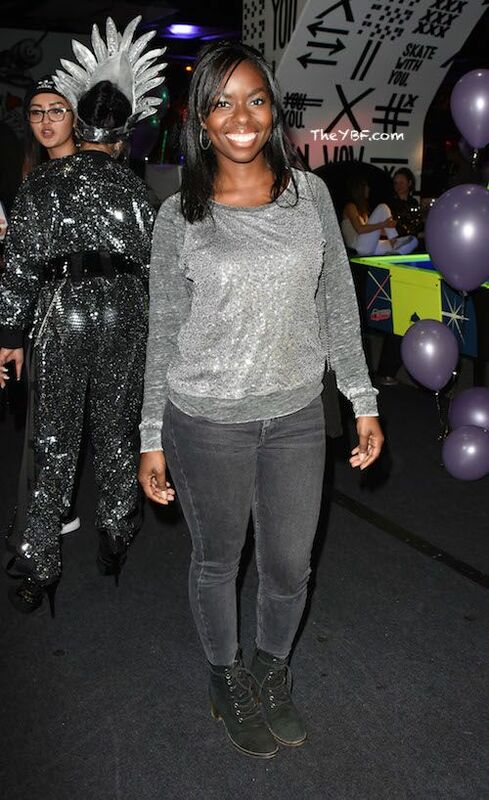 Back at the birthday bash, "Bernie Mac Show" actress Camille Winbush came out to party.